The Vellashape III is the only FDA approved machine for cellulite reduction. It is a completely non-surgical and non- invasive method for body contouring, circumference reduction, fat reduction, cellulite reduction and body shaping. It is safe and effective and can be used on many areas of the body. Hampshire based Bridal Make up Artist. The highest quality work at the most competitive prices. Beyas works hard to bring you the best in Professional Hair Tools, Hair Care and Skin Care and our team is constantly on the lookout for the newest and top performing products. Hats and That are amongst the leading millinery suppliers online. Holding a vast selection of Wedding Hats including Top Hats for Men, browse our selection and buy online today. Yvonne trained at the prestigous AOFM in London, specialising in Bridal Makeup. Yvonne loves working with her brides to create the perfect look for your special day. Mulberry Dental is highly regarded through out the UK for providing the best quality dentistry, customer care and PAINLESS treatments. Professional Mobile Make-up Artist and Eyelash stylist. With over 7 years experience in bridal make-up and now providing airbrushing make-up and eyelash extensions. Bridal makeup in your own home or wedding venue. Over 20 years experience of bridal makeup. Wedding make-up for your special day and beauty treatment packages available. Gift vouchers also available for brides and bridesmaids. I've been working as a mua since 2006, I trained in London and now own a cute salon in Bournemouth Dorset. Check us out on youtube... I work with hairdressers. I/we can travel. Wishbone & Comb is an elite mobile hair and makeup service, with 15 years experience, specializing in Bridal hair styling & makeup Artistry. Providing a mobile wedding and party hair service with over 21 years experience look us up on facebook, covering Shropshire and surrounding areas. Professional makeup artist specialising in bridal makeup across East Sussex,Kent, Surrey & London. As a newly married Bride, Make up Artist & Beauty Therapist, I know how important it is to look and feel great on your wedding day. I offer a complete skincare and make-up service travelling to your home or chosen venue. I am a mobile make up artist covering all parts of West Midlands, Staffordshire, Warwickshire and Worcestershire. I aim to make you look fabulous and flawless on your wedding day without losing sight of who you are! Bridal make up artist covering Dorset, Wiltshire, Hampshire & Somerset. Recommended mobile wedding hairdresser in Darlington. Years of wedding hairdressing experience and many satisfied brides have created a reputation 2nd to non for fantastic bridal hairstyles. Your home of hotel - contact us. Mandy Driver has 20 years of experience in Hair and makeup for special occasion. Mandy is fully qualified and insured with a warm and friendly manner, great prices and reliable. My name is Kerry and I’m a professional make-up artist and hair stylist based in Cambridge. I am Mac Pro makeup artist and have vast wedding day makeup experience. I am a freelance make-up artist with over 20 years experience. I do all aspects of make-up but specialise in bridal and making sure the bridal party receive the very best service. Freelance MakeUp/Beauty Business We specialise in Make Overs, Photographic, Bridal and High Fashion Makeup and also have a short range of Beauty Treatments available. Very experienced mobile hairdresser who has now worked in the hair industry for 18 years being mobile for the past 5 years and many happy clients from weddings etc. Bridal hair and bridal makeup for brides, mother of the bride, bridesmaids and flower girls. Professional artistic service with a free trial before the big day. Specialising in the celebrities secret to younger looking skin, Crystal Clear Microdermabrasion Facials. Also OPI manicures,pedicures and OPI gel polish, bridal and groom packages, make-up, spray tanning. Salon & mobile. Here at ACAM Sisters Salon based in Gants Hill, our fully qualified team bring you a broad menu of beauty treatments and services to the high standards that you expect. Experienced professional Makeup Artist of over 12 Years. Isabelle will travel to you on your special day. Isabelle is a specialist in wedding & photographic makeup. Award winning general and cosmetic dentists. offering a range of treatments including tooth whitening,orthodontics,veneers,implants and hygienist services. Professional Makeup Artist and Hair Stylist based in Manchester. GOKA EYELASH extension give you confidence for your big day. Finest Japanese materials and Japanese Eyelist of 8 years experience. The best eyelash extension salon in UK. Aspect are a team of makeup artists experienced in bridal occasion, catwalk and fashion. We only use high end brands and are friendly and flexible. See website for more details. SR bridal offer hair & make up packages to suit your requirements. Specialising in asian bridal makeup, hair and henna/Mendhi. Be Styled UK are experts in corporate personal branding,and personal styling;we also specialize in Bridal styling, shopping and make up. Fully qualified beauty therapist and mobile wedding make up artist covering Berkshire, South Oxfordshire and North Hampshire. Hair & Make-Up specialist covering the East Midlands. Makeupology is a bridal makeup artist in London. Providing bridal makeup and wedding makeup in London. Covering London, Essex and surrounding areas. Foundations are Specialist's in bridal hair and make-up.Bringing the salon to you on your wedding morning . Wedding and special occasion make up artist based in Essex and fully mobile. Dawn will come to you on your wedding day to create beautiful, long lasting make up. Dawn also provides hair up and beauty treatments. Wedding Hair for you. I have worked with the industry's leading hair artists and with ten years experience you can trust me to deliver on your special day! I provide a mobile spray tanning service in South Bucks and surrounding areas. I provide wedding packages as well as Pure Pamper Parties, ideal for Hen Nights!!! LMA Clinic is a leading aesthetic clinic located on Harley Street in London which is specialise in Smartlipo – Laser Assisted Liposuction, BodyTite & Cellulaze laser. Affordable bridal make up services at the comfort of your home or wedding venue. Based in the hart of the cotswolds we offer a makeup artist and fantastic beauty treatments from nails to facials for your specail day at your home or at your venue. I offer a personal service that will suit all your needs, including a consultation and make-up test so that you can be sure to be getting the best look for your face and outfit. Wedding hair and make-up artists based in West Sussex and Surrey. Young, innovative and fashionable in their approach. Bespoke Hair/Make Up package by our highly talented and professional stylists/Artists. Trials at our Mill Hill Salon, personal stylists/Artists to attended your big day. Perfect Smile Spa is highly regarded through out the UK for providing the best quality dentistry, customer care and PAINLESS treatments. Cabello Coventry hair and beauty salon specializes in bridal hair by using the best products around and right up-to-date with current trends. Professional and highly accomplished make-up and hair artist putting big smiles on bride and bridal party faces in and around Cambridgeshire. Come and check out my portfolio! Freelance make-up artist based in the Midlands,specialising in Bridal,make-up. I have been trained in London by 2 of the best known names in the industry,Jemma Kidd & Louise Young. A professional Home Hair Studio and Mobile Bridal Hair Styling service for Berkshire, Hampshire and Surrey. Hair styling, make up and acrylic nails. Let me help you get ready for your special day. Pamper parties for the hen day/evening. Affable Treatments, a reputed beauty salon in Croydon offers quality laser hair removal, massage, anti aging, aesthetic, cosmetic & holistic treatments at affordable prices. Mobile vintage hair and makeup artist. Bringing old fashioned glamour to your wedding. The Beehive works from a fully fitted mobile salon in a caravan. Bespoke bridal hair and make up services around Hertfordshire, London, Bucks, Beds and Essex. using the finest quality cosmetics to create a flawless and fresh look for your special day! Alison offers a mobile makeup service. She is also a nail and spray tan technician. Her aim is to leave you feeling great and looking beautiful on your special day. She uses only the best quality in products and brushes. Mobile hair and beauty. Bridal make up and bespoke packages for you and your party. I also offer false lashes, gel nails & spray tans. Based in Clerkenwell (London), Taylor-Made Weddings UK offers professional Wedding hair and makeup services to clients throughout London and around the UK. LoveLite White are teeth whitening specialists in creating the perfect smile for the perfect wedding day. One Of London's Top Makeup Artist & Hairstylist With Over 11 Years Experience In Bridal Work. Professional, Affordable & Fully Qualified! Get In Touch For Your Bridal Party Quote. Hi my name is Scarlett, I am a mobile hairdresser in east sussex, offering services of wedding hair, I am competent to create, vintage, classic, simple and intricate styles. Mobile beauty therapist serving Tunbridge Wells and surrounding areas. I am a professional, qualified and insured makeup artist based in west midlands. I have over 4 years experience in this industry and specialize in bridal makeup. Brides with Style is an award winning highly professional and creative company who make sure that the bride and her wedding party thoroughly enjoy the wedding morning as well as ensuring that everyone looks amazing and is ready on time! Bespoke luxury wedding hairdresser in the North East of England. Whether you are looking for glamorous, classic or vintage, I have the style for you! Professional freelance wedding hair stylist providing a mobile service at home or hotel throughout the Portsmouth area. Bridal hairdresser and makeup artist. Freelance hair & make-up artist specialising in Bridal hair & make-up.I have been working in the industry for 10 years,gaining experience in Bridal, Print,Theatre,Events and TV. Helping you to achieve your fitness goals and delivering you to the alter in tip top shape. Specialized personal training facility. Very experienced,qualified wedding hairdresser,offering friendly and hugely professional hairdressing services in the comfort of your home/venue.covering Sussex,Surrey and Kent.Make-up artists available too.Call now! Wedding Accessories on line store aelling most things except wedding dresses and shoes. New and vintage items for your special day Free UK shipping & UK owned. Bridal/Special Occasion Hair Specialist, covering Wiltshire and surrounding areas. NVQ 3 Qualified, over 8 years experience. AQA Create Beautiful Hair. With 17 years experience as a make up artist & 8 years as a senior trainer for an American make up company, Victoria's expertise shines through. A MAC Pro make up artist & also using Bare Minerals, you will look radiant. Experienced, professional makeup and hair artist offering services in and around Cambridge for Weddings, special occasions, fashion, photographic and corporate makeup and/or hair. Providing stunning hair and long lasting looks for the bridal party, I can help create the perfect wedding look, whether it be a classic, glamorous, sophisticated or natural look. Nicola is a freelance Make up Artist. She specialises in tattoo/scar coverage and airbrush make up a unique application technique that guarantees a flawless look. Fiona Whittet is a professional makeup artist specialising in flawless bridal makeup in Lancashire, Cumbria, Yorkshire and the North West. Trained in Bridal Makeup I love being part of people's special day & ensuring you & your bridal party feel relaxed & pampered. I cover 30 miles from GU34 2BE. We provide hair and make up services for weddings and magazines in the UK and abroad.We are also doing Bridal hair and make up courses.Look forward to hearing from you. Luton based beauty and hairdressing salon offering you beautiful wedding hair and make up at affordable prices. Face Time is a directory of professionally trained hair & beauty professionals who specialise in weddings and special occasions. Elegant Images are the Midlands bridal make up specialists making your special day one to cherish forever. We offer a mobile service and cover all of the West Midlands and adjacent counties. Based in Leicester, I specialise in truly flawless, airbrushed Bridal Makeup. I also offer Bridal Hairdressing, so we're sure to find the perfect look together for your big day. 'Maid by Sinead' specialises in bridal makeup, freelancing throughout Northern Ireland. Sinead provides a professional service making you feel relaxed, pampered and beautiful. Rose Fulbright is a luxury British-made lingerie and loungewear brand. For brides, we offer a bespoke lingerie monogramming service and a made-to-measure garter service. Shell Edwards is a bridal hair and make-up artist specialising in airbrush make-up. Offering a broad range of services tailored to each clients individual needs. B'Beautiful offer you Head '2' Toe treatments for your Special day! Facials, Nails to a Flawless Hair and Make-up treatment on the big day! Just for you or your wedding Party also! Established in 2015 I specialise in weddings. Being part of a Brides Wedding Day is an absolute honour, I pride myself on having a very calming influence. Sk:n Clinics have spent the last 20 years helping their customers achieve skin that appears flawless. For more information on how to get the skin you desire, visit our website. Prestige nails and beauty is a newly opened nails and beauty salon based inside the therapy solutions building on atherton street in prescot. Our Clip in Hair Pieces and Extensions are a glamorous way of adding extra length, volume and style. Perfect for creating that stunning ‘updo’ bridal look! Easy to fit in seconds and fully removable. A network of wedding hairdressers with a member in every town or city in the UK. Go to the website and find your experienced wedding hairdresser for your special day. Bridal hair and makeup artist covering Dorset and Hampshire. I am a professionally trained freelance makeup artist based in Newport Pagnell, Buckinghamshire. I provide a mobile service covering South England. Northwest based makeup artist and hair stylist. Specialising in weddings, and all other occasions. For more information and availability please don't hesitate to get in contact. Freelance professional and experienced bridal mobile hair and beauty artist working in and around Surrey covering Guildford, Hampshire, Berkshire, Sussex & South London. Wedding makeup covering the whole of the north east. Using airbrush and traditional makeup applications. With over 20 years of wedding makeup experience. Offering mobile beauty ,makeup artistry and floristry , bespoke discounted packages made to suit , please view my website. for more information. Look fabulous on your special day with intricate hair designs and flawless airbrush make up provided by Hair Come The Girls. Mobile Bridal hair and make up covering Essex and Kent. I am a professional make-up artist available for weddings. I am fully mobile and with vast knowledge of photographic make-up I can promise to make you look picture perfect! Faceforte offers a brand new approach to skin. Think beauty meets aesthetics, salon meets clinic. Trained nurses. “OMG! it’s changed my life!”,as so many of our clients have said. Sunita Patel is an experienced, professional Bridal Makeup, Hair & Henna Artist based in Swindon, working throughout Wiltshire and London. Professional Bridal Artist based in Oxford. Please visit my website to see my full portfolio. Amanda Jones a talented makeup and hair stylist has worked in the northwest for fifteen years, this invaluable knowledge helps to ease the preparations for your big day, making it an enjoyable and stress free experience. Minnies hair and makeup is a mobile service that specializes in hair extensions, wedding,prom hair and makeup packages available. Bridal make-up in the comfort of your home or wedding venue. Brideshair comes to you in your home or required civil ceremony venue offering a one to one service for you and your bridal party on your wedding day. We are here to help make your dream come true from start to finish. I am a professional make up artist and hair stylist specializing in weddings. I am based in Norwich, Norfolk covering the whole of East Anglia and London. Trained at The London School of Beauty and Make-up, Lisa is a professional freelance make-up artist specialising in bridal make-up. Mobile bridal hair design by Julie Smith.Covering the Midlands area. Sophia Bella Bridal LLC is an onsite hair and makeup studip servicing all of Chicago-land and surrounding suburbs. Wedding day make-up in the comfort of your own home or wedding venue. Fantastic selection of pearls and head wear for Brides. Freelance hair stylist specialising in bespoke bridal and special occasion hair. Also working alongside an amazing makeup artist if makeup is required. Olivia Cutforth is a fully qualified Makeup, Hair and Nail Artist having trained at The Academy of Makeup. Olivia specialising in Bridal, Special Occasion, Fashion and Editorial. Lifehouse is a contemporary award-winning spa and 4* hotel, that offers a range of spa days, mini-breaks, and holistic treatment options. Professional and friendly service provided by an excellent, fully qualified & insured lady. Tracey works with confidence when fulfilling the clients needs in both hair & makeup. Fully mobile, nationwide wedding beauty therapy, hair & make up. Covering whole of UK. We have a varied portfolio inc Asian weddings. Our reviews & testimonies speak for us. Celebrity hair & makeup artist,catering for all your bridal party needs. Relaxing & friendly service in the comfort of your home or hotel. Specially trained in bridal and photographic makeup. Wilde About Tan are 5* Mobile Spray Tan professionals. We specialise in wedding tans, Hen do tans for the whole bridal party. Make a night of it and get some bubbly in! London based bridal makeup artist offering wedding makeup - hairstyle, bridal makeup & hairstyle and bridal airbrush makeup. Wedding make up and bridal hairstyling in Berkshire, London and the South East. We makeover the bride, bridesmaids and Mothers of bride and groom. Freelance/Mobile Hairstylist covering Norfolk and Suffolk areas specialising in Wedding day Hair and Bridal hair. Prom hair/group bookings and packages are also available. Make-Up & other beauty treatments provided in the comfort of your own home by Rachel Farrow, fully qualified and experienced Make-Up Artist & Beauty Therapist, covering the Dorset & Hants. Consultation and trial included. Permanent Beauty 24/7 How? Semi Permanent Make Up. Always look your best Fabulous for eyebrows, eyes and lips no need to ever draw Makeup on again. That is the Beauty of Permanent Makeup your makeup never smudges or runs. Beau Hair provides Brides to be wedding and engagement hair styling at your home or venue. Highly experienced and services South Yorkshire, Derbyshire and Cheshire areas. Bridal hair and makeup artist with 15 years experience . I use airbase airbrush makeup I take pride in my work I always make sure you feel amazing . Freelance Hair & Make-up Artist and bridal specialist with 13 years experience. Available to travel throughout the UK and indeed beyond. Mobile makeup artist, nail technician and beauty therapist in the West Midlands. Walsall based mobile make-up artist. Book me for your make-up and be safe in the knowledge that you looked your most beautiful all day long on your wedding day. We provide professional accredited courses in Asian bridal make up , Henna application, Hair styling and threading. Academy is based in Luton city centre. Top London Makeup Artist and Hair Stylist with over 12 years experience. As well as offering a bridal service I work in Fashion, advertising, television and have many celebrity clients. My signature bridal make up is classic, natural and long lasting. I am an expert in blending and I like to create a make-up look that is soft, radiant, flattering and timeless. Hair and Make up Artist. Bridal, Weddings, Special Occasion. London and Surrey based. Heidi Herkes Freelance Professional Hair and makeup artist based in Cardiff, South Wales. I'm professionally trained Bridal Makeup Artist excited to have a part in your big day. I listen & give you the look you want while using my skills to enhance your natural beauty. My name is Lisa and I am a fully trained, qualified, insured spray tan therapist and I visit you in the comfort and convenience of your own home.I guarantee a beautiful, safe and natural looking tan for your speacial day. I'm a Multi Award winning, published airbrush makeup artist. Offering a bespoke bridal makeup service. Gill K. Makeup - Bridal makeup and complimentary therapies paired with a kind and considrerate client service. I create the look you you've dreamed of on your biggest day. A VIP mobile wedding hair and beauty service for Sheffield and the local area. Relax and enjoy our service with your bridal party at your home or hotel. Donna Marie- Graduate of the London Make Up School- is a professional, internationally qualified, fully insured, freelance Make Up Artist and Vintage Hair Stylist. Recommended by many satisfied brides. Chester wedding hairs mobile service visits the brides home or hotel on her special day. Excellent reputation for fantastic bridal hairdressing. Professional freelance wedding hair stylist providing a mobile service at home or hotel throughout the area. Bridal hairdresser and makeup artist. Leading Botox London clinic at 10 Harley Street offers safe Botox injections for wrinkle treatment, excessive sweating, migraine, jaw reduction, bruxism & TMD. I specalise in hair up styles and wedding makeup.I travel to the venue of your choice making you day run smoothly.Established for over 20yrs with venues such as Tower bridge and Chiddingstone Castle on my portfolio. We offer 10 years professional hair & make up experience, where clients benefit from our expertise in beautiful, long-lasting make up & hair for their Wedding Day. Our make up artists and hair stylists have years of experience in the industry and will create the perfect look for your special day. A Nottingham based professionally trained makeup artist with over 17 years experience. I am available for Bridal and Wedding makeup services. Please get in touch for a chat. Faye is a bridal and special occasion make up artist. Faye has over seven years experience and is a highly skilled ,qualified and knowledgeable Make up artist and hair stylist. Experienced, professional, freelance make-up artist specialising in Bridal Make-up. Kit contains premium brands including Mac, Dior, Chanel and Nars. Makeup artist specialising in weddings. My signature style is natural, I like to use makeup to enhance your natural beauty & to make you feel extra special on your big day. The Exclusive One to One Nail & Hair Salon. Acrylics, Gels, Hairdresser, Wedding Make up & Hair, Manicures, Pedicures, Indian Head Massage, One Stroke Nail art, Polish Pro. Mobile Makeup and Hair for weddings and occasions around the South. Professional products (Mac, BareMinerals, GHD's). Get the perfect look to suit you, and lasts all day! Fully Qualified Make-up Artist based in the West Midlands. Specializing in Glam, Natural, Prom and Bridal make-up. ALL enquirers/appointments/ must be emailed. Modern salon in essex offering reasonable prices for occasion hair.big parties catered for, will close salon for few hours of prep and include champagne.free consultation. Roo has been a hair and make-up artist for over 15 years with many large film and television credits to her name alongside many very happy brides! We are experienced Make-Up and Hair Stylists providing you high quality services with the best products there is! We are not satisfied until you feel beautiful! Recommended, experienced and reliable freelance wedding hair service available to visit your home, hotel or venue throughout the whole of Ayrshire. Welcome to Smile Like The Stars the Number 1 teeth whitening specialist across The South West and South Wales from Bristol to Cheltenham and Newport to Cardiff. Your Best Dominican Blow Dry in London! We truly know how to care for your hair! Make up artistry services for Brides,bridal parties,hen partys and more.Making you look stunning & chic on your special day. Background in fashion,bridal,beauty,celebrity and more. Freelance Makeup Artist specialising in Bridal & Special Occasion Makeup. Airbrush trained. Available to travel. bridal hair and makeup services Tejune Hair Extension and Hollywood eyelash Extensions. Online hair extension store Pauls Hair World specialise in supplying the very best in clip in hair extensions, human hair extensions, human hair wigs for your big day! Professional Make-up artists based in Newcastle upon Tyne, North East England. Serenity Sensations & White Lace offers you professional flawless airbrush make up and bridal treatments in the comfort of your own home or destination. Charlotte is a professionally qualified freelance Wedding Day Bridal Make-up Arist in London, Surrey and Middlesex. A web based business selling mainly quality UK sourced products. head wear, underwear,outwear,shoes and all manner of accessories. Your no 1 mobile wedding stylist for picture perfect hair!! Professional Wedding & Bridal Make-up artist based in Newcastle upon Tyne. Ross Wall is a London based musician available for hire for weddings, functions, corporate events and parties. Ross has performed on tour with X Factor and The Voice winners. A VIP mobile wedding hair and beauty service for Doncaster and the region. Why visit a salon on your special day when the salon will visit you. relax and enjoy being made to look beautiful at your home or hotel. I am a mobile hair and make-up stylist and qualified beauty therapist. I specialise in both natural and glamorous bridal hair and beauty. Mobile Hair Extensions across the South West Elixir Boutique are hair extension specialist with over 10 years in the industry. Thai spa to recharge yourself and get reinvigorated. When it comes to the heavenly experience at a massage center in Mumbai, that’s truly mesmerizing Yuan Thai spa stands the best. Makeup Artist based in the East Midlands. Specialist Airbrush application;your makeup will be tear/sweat proof, flawless and last all day and night. Bespoke packages for everyone! The Rainbow Tanning Company specialises in providing spray tans for all occasions using the best quality products. We understand the importance of looking and feeling good and we believe a great looking tan can do both! Freelance hair and make up artist with over 20 years experience. I travel to your home or venue to prepare you and your bridal party for your special day.I use many well known cosmetics suitable for all skin types . Melissa Oldridge is a fully qualified hair stylist and makeup artist based in Surrey, specialising in wedding hair and makeup. I am a freelance make-up artist and offer a mobile service in Staffordshire. I will help the bride to create a stunning make-up look for her wedding day. Beautiful brides created for their wedding day,sit back and relax while we do all the hard work,the webpage is stunning! 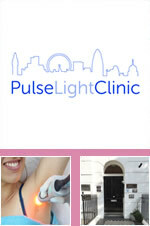 Clinica Fiore Skin Medica is an award winning Medical Cosmetic skin clinic in London. It provides high profile aesthetic treatments to both men and women. Bridal make-up using Airbase airbrush for a flawless, radiant finish that lasts all day. Rowena comes to where you are getting ready, uses top brands eg MAC. Can cover tattoos,etc. Cheshire based experienced make-up artists and hair stylists specialising in wedding hair and make-up across the West,from our studio in Macclesfield. Also offering HD Brows. Provide Mobile beauty treatments on special occasion such as hen parties, pamper parties and group events. Call today and enquire on treatment list and price!!!! Colaz provides laser hair removal, electrolysis, waxing and toning programs by experts with skill level of level 4 advanced beauty therapy. Specialist in bridal hair and makeup, we offer a mobile service on your special day. Full range of hairdressing and beauty treatments including eyelash extensions, manicure, pedicure, nail extensions, hair extension. Ashton is a Professional Make Up Artist based in Cambridgeshire, offering expertise in all aspects of make up including Fashion, Editorial, Beauty, Bridal or for any occasion. Highly experienced hairstylist Master Craftman. Specialising in all hairdressing techniques. A professional friendly service ensuring your dream wedding.